The Rev. Gary D. Philips came to be pastor of Salem in June of 2016. He has previously served in 6 pastorates across the South Carolina Conference. He is originally from the State of Kentucky, born and raised. He is the son of a U. M. minister. He studied for his undergraduate degree at Berea Collage. He likes to say that they taught him to think. He met his bride, the Rev. Patricia Parrish, while they were both seminary students at Emory University. He credits Emory and his bride for teaching him to think theologically. Patricia is a native of York, SC. Her ties to SC were stronger than his were to KY so she brought him home with her. Gary has been a proud South Carolinian for over 30 years now. As a pastor he claims to be a Jack-of-all-trades and master of none. He attempts to be a good listener, effective speaker and earnest pray-er. It is his hope that though his life in ministry he will help others to come to know the love of Christ, the joy of life, and the delight of devotion to the way of the kingdom of God. Jim is the Director of Youth Ministries and Outreach for Salem United Methodist Church. He has been a part of this church since September of 2013. He has previously worked with Youth at First UMC in Myrtle Beach for 10 years and at Union UMC in Irmo with children for 5 years. He is married with two girls. Tina is our Director of Creative Ministries. She has been a member of Salem since 1992 and joined our staff in 2008. Tina is a graduate of Winthrop University and has held several Managerial roles outside of Salem as well as served in various capacities within the church throughout her tenure. Tina lives in Chapin with her two boys, Blake and Braxton. Beth has lived in Columbia for most of her life, and she and her husband, Billy, have two children and six grandchildren. 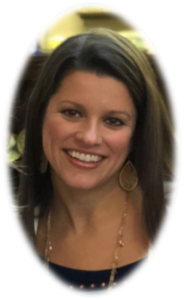 Beth graduated from the University of South Carolina with a degree in accounting and has worked for several companies providing financial and office management during her career. 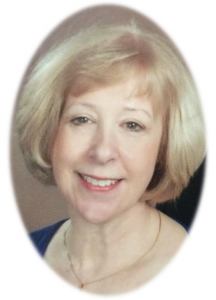 For the past 13 years, she worked at the Independent Insurance Agents & Brokers of SC. Beth and Billy are members of Union United Methodist Church. Beth enjoys spending time with family and friends, reading, listening to music and outdoor activities. Marie has been with Salem UMC since April 2012. A graduate of Saluda High School and Fashion Merchandising School of Columbia Commercial College, she grew up in Saluda and has been living in Little Mountain since 1983 with her husband Fred. She is a member of Capers Chapel UMC and serves as their Lay Leader and Church Treasurer. Before joining Salem she worked in accounting for 30+ years. Marie loves spending time with her parents and family, also fishing, hunting and reading. Edie and her husband have three wonderful children and four amazing grandchildren. They moved to Columbia/Irmo in 1986 from North Carolina. Edie has worked in childcare for over 30 years. After a move to Oak Island, N.C. and Rock Hill, S.C. They returned to Irmo almost two years ago. Edie and her husband have found a church home at SUMC. Marissa has been a member of Salem since 2011. She and her husband are proud parents of two girls and a boy. Before become the Communication Coordinator, Marissa worked in education she also managed her school’s webpage and created publications for her school. Marissa will be publishing the monthly newsletter and updating and maintaining the church website. She would also like for you follow us Facebook and Instagram to stay up to date with all that’s going on at Salem.